Roundup of traffic and road conditions around Colorado Springs and the Pikes Peak region. A multi-car crash has shut down southbound lanes of I-25 at the South Nevada Avenue bridge, according to Colorado Springs police. 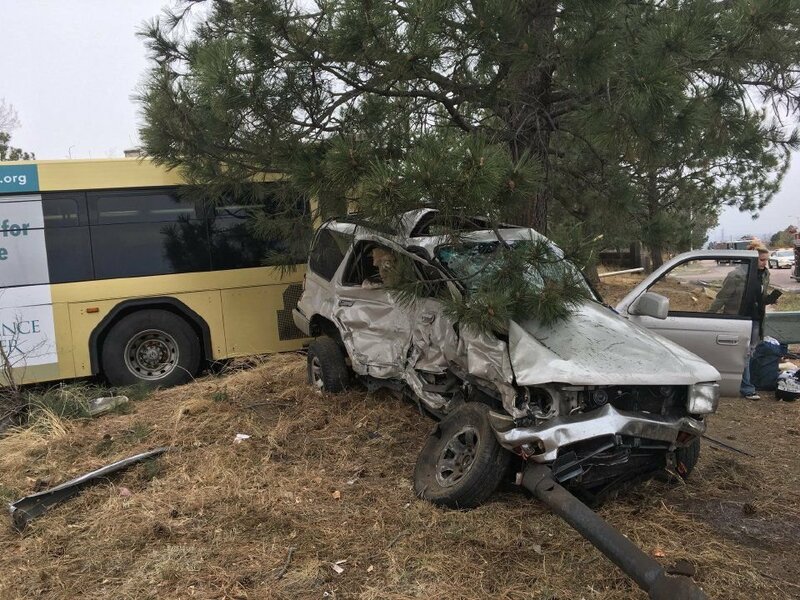 "Due to icy roads and numerous crashes on the North and East sides of Colorado Springs," the Police Department has gone on accident alert status, police said. When a crash happens while the Police Department is on accident alert status, motorists should exchange insurance information and file a report later. The crash must fall under certain criteria, however: A report can be filed later if there is no injury requiring medical attention, if no driver is suspected of being under the influence of alcohol or drugs, if no driver fled the scene and if there is no damage to public property. Traffic on eastbound Hancock at Monica Drive is stopped due to an accident involving a city bus. Occupants of the bus and vehicle are being evaluated for injuries. Colorado State Patrol reports that Colorado 94 east of Colorado Springs is closed in both directions after a crash near Curtis Road. Eastbound Colorado 94 is closed at Curtis and westbound closed at Enoch Road. Click here for The Gazette's interactive traffic map. The right lane of Stetson Hills Boulevard west of Powers Boulevard is blocked by a motorcycle crash. A crash has been reported on westbound Dublin east of Powers. Unknown blockages.